Best rooms for overlooking Sultanahmet and Marmara Sea are the upper ones with terraced roofs. We have four twin rooms which have two single beds. The rooms have faux windows . 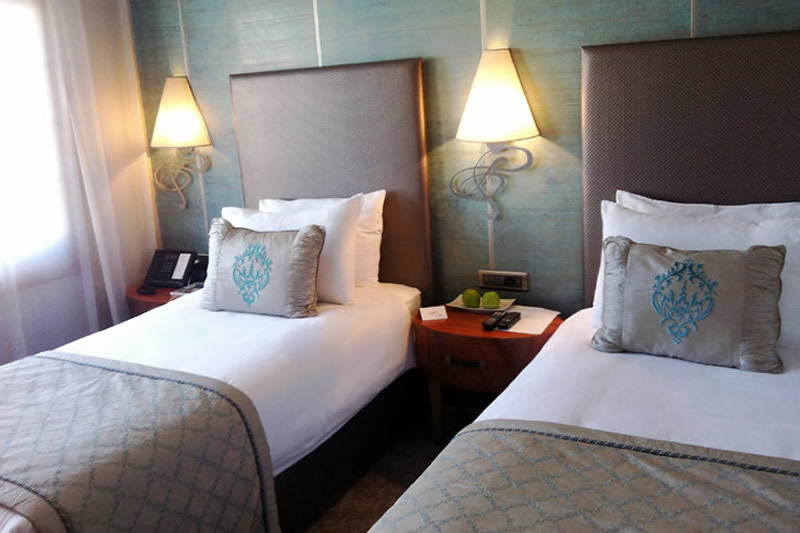 You will find the comfort you are looking for in our superior double rooms. This rooms overlooking the street or our winter garden's exterior. 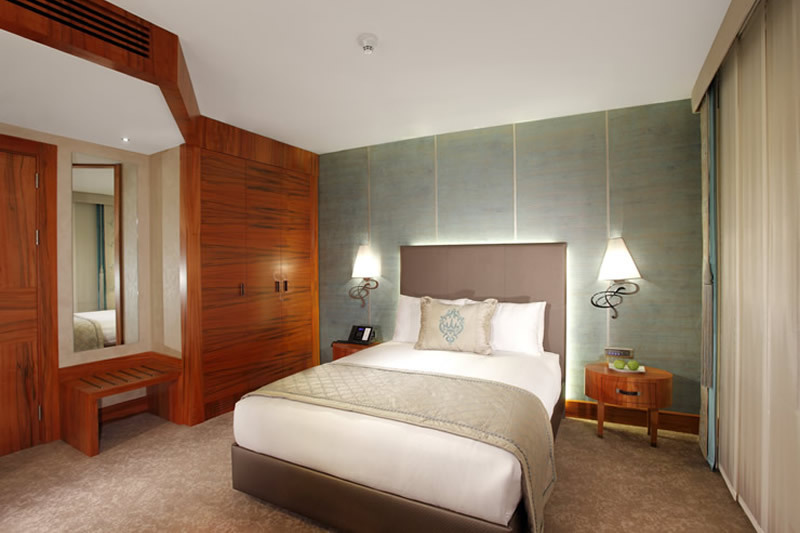 Meticulously furnished rooms are waiting for you with their full luxury and comfort . Accessories in the rooms are selected in accordance with guests needs. The upper rooms have terraced roof with breathtaking landscape. It is for sure that our guests will have wonderful time . We have four twin rooms in which there are two single beds and windows for daylight. These rooms are wonderful for staying at quietness and restful . You will even have more pleasant time in our superior double rooms. In addition to that there is an option to chose interconnected rooms so that you can reach to the children’s room easily. 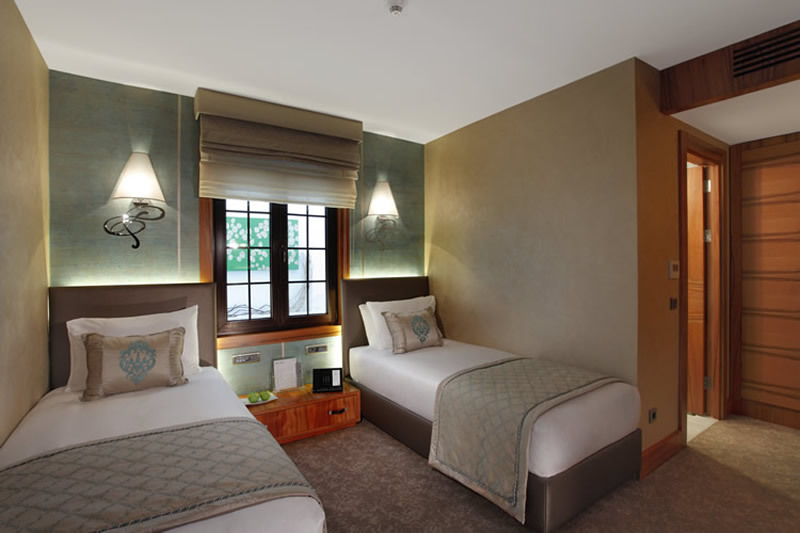 Our interconnected rooms have a Superior Double Room and a Superior Twin Room. We have two superior twin rooms which have two single beds. Rooms have street view. Best rooms for overlooking Sultanahmet and Marmara Sea are the upper ones with terraced roofs. Besides Marmara Sea, you can also see fascinating Blue Mosque and Prince Islands.